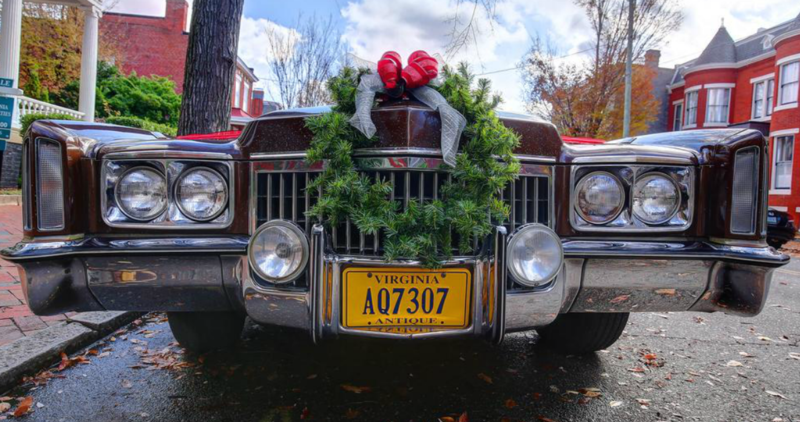 As part of a unique market plan, this 1972 Cadillac Eldorado is now a bonus if you buy the house at 2610 East Broad Street by December 30. That house is going to be purchased as a total gut job, due to the criminal “renovations” and “updates” the current owners apparently made. Their extremely poor choices will mean that they need to offer more than a ’72 El Dorado to sweeten the deal…how about coming off the price $400-500K? I wonder if there has ever been any offers? The inside looks pretty, especially the bathrooms. Doris, I am think you are thinking of Charlie Johnson’s old “Super-Fly” car from many years back. He showed me some pictures of it once when the Laundromats were still in business. I think this car being offered “may” be one that Billups or Barden owned and sat behind the funeral home for years but don’t quote me on that. There is no doubt the house is beautiful. It is very formal and made for entertaining. But it is a very LARGE house, not for a young couple starting out and not for a family on the go since there is a lot of upkeep involved let alone cleaning. It will take a certain type of person, mature and settled, who are most likely well heeled in finances. A place to entertain business investors etc… Local advertising hasn’t drawn enough interest so as i have said before, it needs to be advertised on statewide or national levels. It is being advertised as the Billups house when in fact they purchased the house in in 1912 from the heirs of capitalist William John Westwood (1832-1912) who actually built it in 1860. I think the audience that is looking for a 70s pimp car and the market that has $969,500 (why not make it a cool million?) to drop on a house have virtually no overlap. This is a bizarre throw-in. Okay, what am I missing here? The Cadillac looks pretty stock (except for the fog lights) so not sure why anyone thinks it is a pimp mobile? And when does “formal” become tacky? Yes, the furniture in the house is eclectic – I like a few pieces but most is too modern for my taste and for a 19th century mansion in general. You have to look beyond what is in there and see the “house” and its potential. Clay Street… getting real? A house that size and its amenities will run closer to $1-million. The average retail in Church Hill now is around $400k and that would be for a house a lot smaller than this one with a whole lot less! And this one sits on Broad Street, not on one of the side streets so is prime property as well. Sorry, maybe I was being rather harsh–the bones of the house are fantastic, as is the location completely prime. BUT– I truly think a more streamlined & thoughtful renovation would have been more appealing in terms of resale. Specifically: subway tile in the kitchen as opposed to whatever stone stuff they have (which appears to be far too similar to what was used in the bathrooms). Kitchen cabinets look nice…for a rental unit. Nothing is over-the-top horrible, but these are basically condominum-level finishes, not $1million historic home finishes. People who would pay $1million to live on that block don’t want a shiny black granite floor and mediocre finishes/fixtures. They would probably gut it. so there should be a recognition of that in the price, is what I am saying. We all know the other homes have sold up here in the mid-six-figure range. Look at the finishes (kitchens, baths, appliances etc.) and also (importantly) the staging involved in those properties and compare list price, actual sale price, and time spent on the market. If this place is really priced appropriately, it wouldn’t have been on the market for this long (over a year). There’s clearly a problem. Have yall seen the house at the corner of chimbo and broad? It sold for like 740k, and still needed some work. Theres a house right across the street for sale for like…. 700k? At the price per square foot this isnt that bad…. Especially considering what some of the houses near libby are selling for…..
Also its not that its over priced, its just the biggest house in the neighborhood…. and close to 1 million. That limits the buyers to a limited few…. @13 I completely agree with you about the kitchen cabinets and shiny black granite floors. Eeek. Clay Street, I think Church Hillian has a viable concern about size and location. But just keep in mind that when this house was built there were many houses like it and even bigger all along Broad but most all are long gone. This house has that going for it, a survivor of how the prosperous Church Hill residents lived pre Civil War. Another oddity about this house is that it was built during the war by a capitalist. As for fixtures and finishes, You still need to be formal but this house was basically abandoned for many years – inherited by Charles Billup’s son Stuart and was forced to sell in 1971 so anything you see in the house is probably 1970s-1980s chic. Not sure what the last owners added to it? My favorite room is the dining room with the banquet table and triple chandeliers. I also like the staircase and the basement theater.